This a perfect example of the power we as customers have and also a perfect example of how companies (when advised of a problem) are willing to do the right thing. we recently returned from a fantastic snorkeling trip aboard one of your boats. Captain Rob and the crew were truly wonderful. One aspect of the trip was of great concern to our group and that is the use of small plastic cups and straws. We noticed when we went ashore on a few beaches, that these were strewn about everywhere. The straws and cups are lethal to turtles as well as other marine life. I have attached information about a global campaign to curtail use of plastic straws and cups. I have also shared this with Wilderness travel, the company we booked through and suggested they supply guests with reusable cups and NO straws. Plastic pollution was recently categorized as the ‘largest environmental threat facing man and animals globally’ by the UN and we all need to somehow get involved. 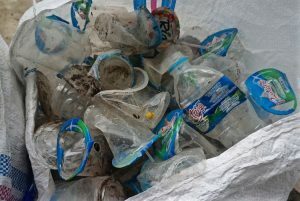 We are delighted to hear that you had a fantastic time on board and we acknowledge that rubbish is becoming a real problem in Komodo National Park. With us using plastic cups and straws, coupled with the sight of rubbish on the beaches casts a negative perception on our operations. We are very concern about the long term impact of this perception and we go through great lengths to ensure that our rubbish are disposed off properly at port. At the same time, we have been constantly reviewing other viable and practical alternatives to replace the use of plastic cups and straws. I thank you for introducing me this campaign and we will join the OneLessStraw Pledge Campaign immediately. Thanks to Rene’s efforts, we have now added the organization to our OneLessStraw Partners page and to our Google map. They are our first partner in that region and we look forward to helping them solve this problem.